There's something wrong about spaghetti with no meatballs. 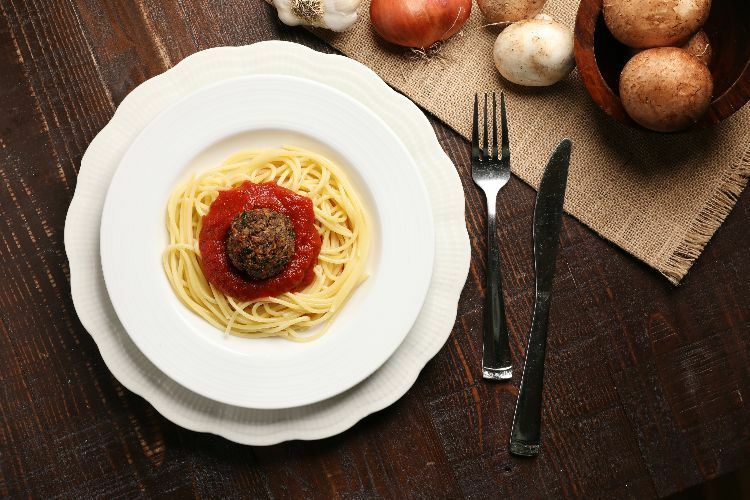 The meatballs are the star of the show for many people, so to cook a spaghetti dinner without them just seems subpar. You don't need to cook spaghetti for an excuse to make meatballs, though. Here are other meatball recipes that will give your dinner a little kick. Don't worry, we still included the traditional sytle meatballs because we love them so much. You might think the meatballs you've been making (and eating) your entire life are Italian-style meatballs. Unfortunately, there's a good chance you've been wrong this whole time. As the recipe below shows, there's a holy trinity of meat in Italian-style anything — beef, pork and veal. And nothing, but nothing can be called Italian style if it includes a meat mixture without one of these three. Get the recipe here. Meatballs can be so many things, can't they? They're the perfect topping for spaghetti, and you can also pile them into a sub roll for one of the greatest sandwiches of all time — the meatball sub. However, they go far beyond these typical meals. They can also fill out an entree in a way you never thought possible, or be served as an appetizer when you're entertaining. 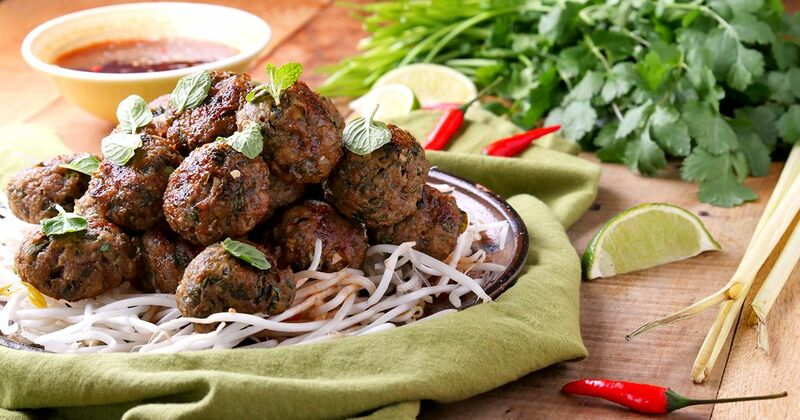 To make them this way, you just need to prepare Vietnamese-style meatballs. Get the recipe here. If you thought you knew meatballs, and you've always covered them in a tangy tomato sauce, you need to try the recipe that follows. In this dish, meatballs get a whole new face. 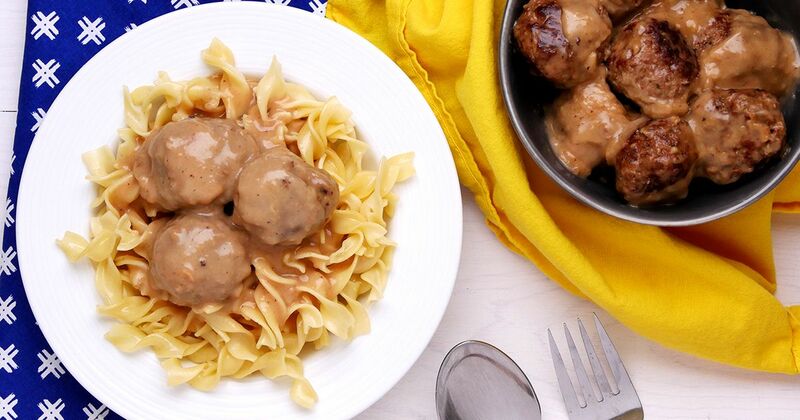 They're made like regular meatballs, but it's the sauce that makes them so different. Gone are the days of tomatoes, and in comes the new dawn of roux and beef broth. The result? The perfect weeknight meal that will have you looking at meatballs in a whole new way. Get the recipe here. Lots of people are accustomed to eating meatballs with cheese. 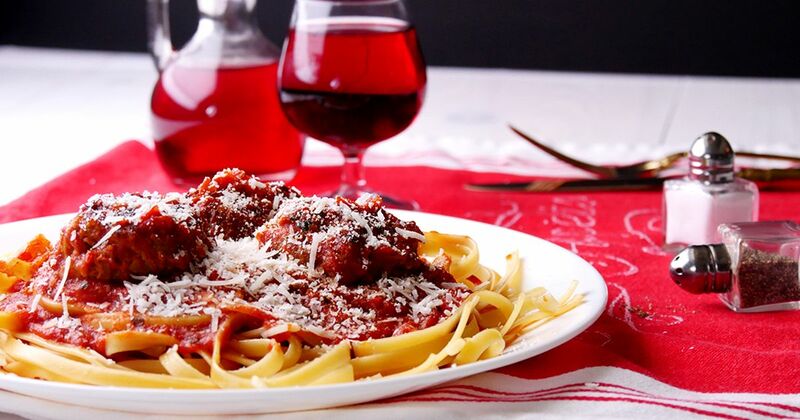 Cheese is often sprinkled over top or placed underneath meatballs lying on top of pasta. What if you could eat meatballs that come with melty cheese all on their own? This recipe below shows you how to do just that. Get the recipe here. 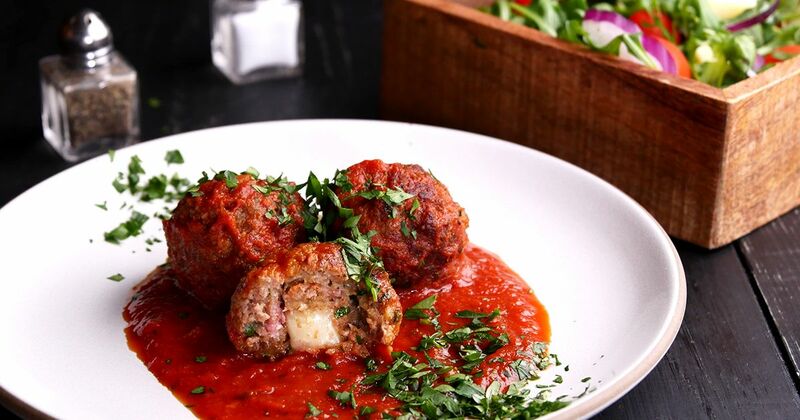 If you've never heard of meatball bombs, you're missing out! This recipe gives a twist on traditional meatballs when you add a few key ingredients. Your taste buds will definitely thank you for preparing this mouthwatering recipe. Get the full recipe here. Looking for an easy but delicious dinner idea? Look no further! 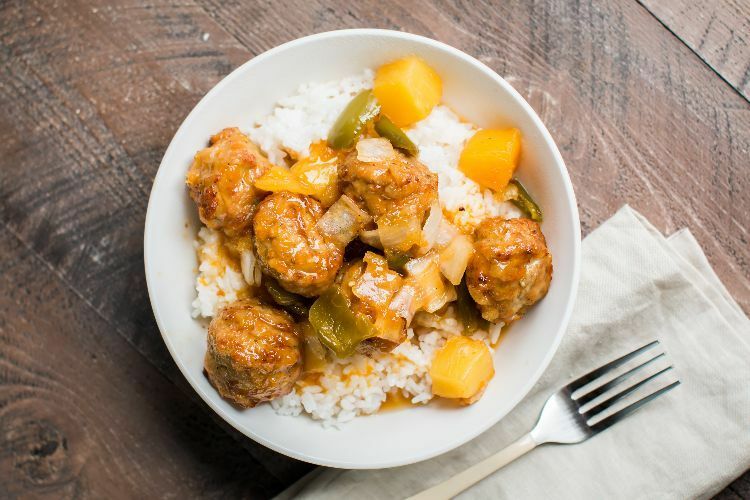 These slow-cooker sweet-and-sour meatballs are sweet and tangy. They have the usual flavors of sweet and sour you would expect from a Chinese restaurant, but no food coloring! Get the full tutorial here. Looking at these meatballs, you'd have no way of knowing they're completely meatless — they look exactly like ground beef meatballs. You'll be equally surprised when you taste them. Not only does the recipe below make completely moist meatballs, but the meatballs have an earthy, slightly nutty flavor that's totally satisfying. 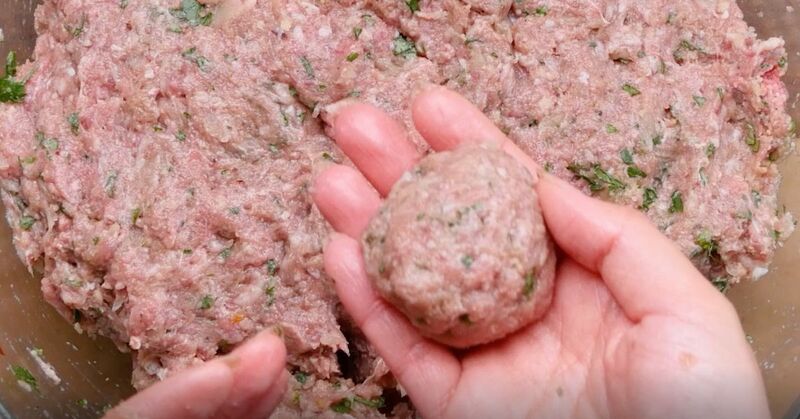 You may never make meat-filled meatballs again. Get the recipe here. Who doesn't love tacos? Who doesn't love meatballs? Well then, try making taco meatballs! With only three easy steps, the recipe below may become your next go-to party dish. 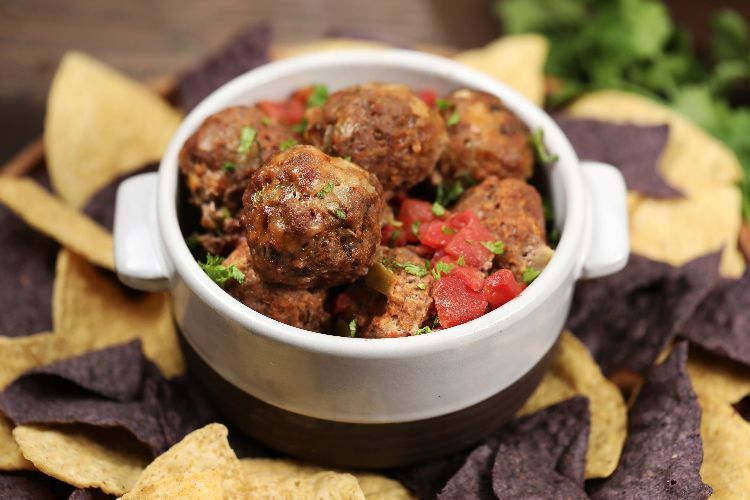 Ground beef, taco seasoning, onions, cheese, tomato and chilies pack a punch of classic taco flavors all bundled up into perfect little meatballs. Serve these babies up for your next sporting event, birthday, or any time for that matter! They won't disappoint. Get the full recipe here. Share these tasty meatball recipes on Facebook. Which one of these egg roll recipes will you try tonight? 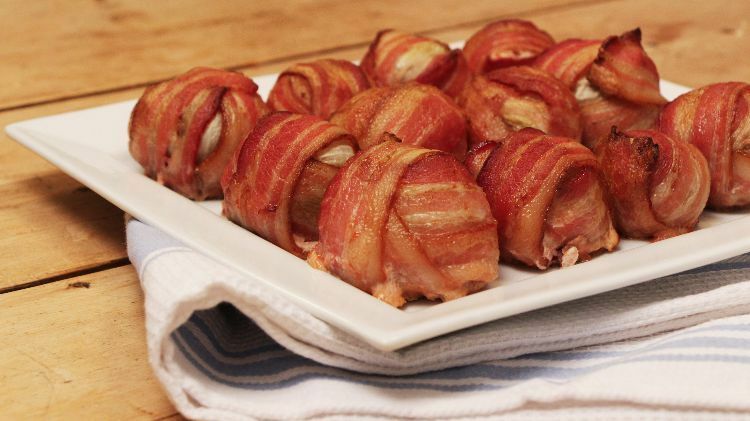 This easy dish is perfect for a Superbowl party or to serve as an appetizer at your next family get-together. Grilled cheese is one of life's simple pleasures, but did you know about these amazing ways to enjoy it? No. 6 will blow your mind!